I love sharing vacation memories. For our last vacation, we met up with other members of my family in Orlando. We had a blast visiting Universal Studios, since it was my daughter’s first time there. We even stayed at a fabulous resort (big SHOUT OUT to the Avanti Resort, which was sadly struck by lightning and nearly burnt to the ground earlier this week). We hit up Downtown Disney and Islands of Adventure, too. This year, we’re going somewhere for my birthday, which is later this month. I have no idea where, but somewhere. We’re thinking Savannah, GA or Myrtle Beach, SC. I haven’t even ruled out Dollywood, yet. The only thing is I’m dreading the crowds. But, when you plan anything during the summer, the crowds are just as natural as the air we breathe. It is what it is. Either way, I can’t wait to add a set of new memories to my wonderful collection. I think one of the best trips ever was when we were all going to reconvene at my grandmother’s house outside of Atlanta. My brother was coming from upstate NY and we were coming from Raleigh, NC at the time. Somehow, in the midst of a monstrous traffic jam near Charlotte, I ended up passing my brother on the highway. He texted, “Was that you in the green Sienna that just went by?” My eyes nearly ballooned out of my head. What were the chances, considering he had a 900+ mile drive ahead of him and I had about 300+ miles in front of me and both of us were coming from two different directions? Another “best trip” ever story happened when my daughter was about two months shy of turning 3. I wanted to get her to Disney World before I had to pay full kid price for her. So, as we’re sailing across on the ferry, my baby’s eyes nearly fell out of her head when she saw “Mickey’s Castle”. She blurted out “Mickey’s Castle, Mommy! Mickey’s Castle!” Laughing, I turned and nodded before going back to talking to my mom. Genevieve, my munchkin, grabbed my cheeks and turned me to see it again, “No, Mommy! You have to look. It’s Mickey’s Castle!” I hadn’t noticed until now, but everyone on the ferry was staring at us and trying to hide their smiles and laughter. Yes, it was her first time. No hiding that kind of joy on a kid’s face. Even the Ferryboat captain came over and asked, “I take it you’re excited about seeing Mickey’s Castle?” Genevieve nodded. “Yeah! Do you see it? It’s magical.” Oh yeah. That trip was magical all right. So share some of your vacation memories. I want to hear them. I’m always open to trying new places. And did I mention how much I love Trip Advisor? Thanks again for having me, Delilah! Don’t forget to check out my latest releases! 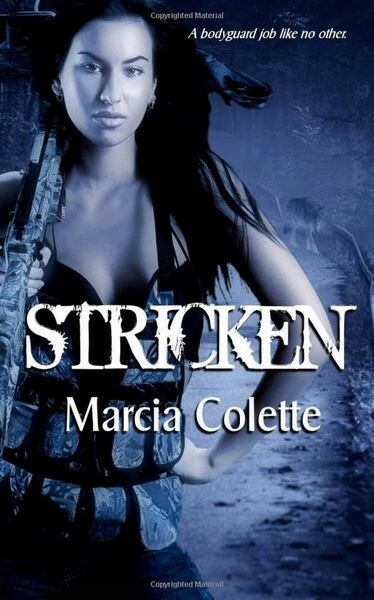 Stricken – Available in ebook and print! The Light at the End of Judgment and Day – Available in ebook!